The 3DEXPERIENCE platform by Dassault Systemes, the parent company of SOLIDWORKS, is the first platform to make the engineering and manufacturing processes available to everyone. By being on the platform, I now have access to more engineering information than ever. The infrastructure is built into the platform to allow designers to communicate, design, purchase and collaborate around the world. It opens up more possibilities than ever before for where I purchase, make and design my parts. Currently, this process can be extremely disconnected. I have to search for suppliers, create my part, save it locally, package the components (securely I hope) and send them along. Typically using email or a separate cloud storage server, which can take weeks. The days of such a process are vanishing. In SOLIDWORKS xDesign for example, one click of an icon and I can send my design halfway around the world to be printed. All this is possible with the cloud structure and backbone of the 3DEXPERIENCE platform. If you think how that impacts time to prototype and time to market it’s easy to see a reduction of days, if not weeks, in the procurement process. I recall what it was like to find qualified shops to manufacture product for me when I was in engineering. Some designs would be outside of the capabilities of my vendors, so I’d have to spend weeks qualifying new vendors to handle the new design. That meant four to six weeks of searching, two weeks for design, manufacturing review then quoting to finally manufacturing in two to four weeks. That total would be eight to ten weeks of delays. The 3DEXPERIENCE platform offers a solution that eliminates those steps and allows me to focus on design, not finding vendors. The previous reason transitions well into my second reason, which is true “rapid” prototyping that is available via the cloud. Let me preface that statement with the fact that I truly love Amazon Prime. I need a new Star Wars calendar for my wall and in two days it’s in my mailbox. New iPhone case, two days and it's here. I can open an app, search, click and have it in my hands quickly and painlessly. Marketplace Make within the 3DEXPERIENCE platform gives me that same convenience with my designs. I have the luxury of having a 3D printer in my office and a skilled coworker to help me make the print. Not every designer has that luxury, nor do they need it when engineering in the cloud. Using the Marketplace toolbar within SOLIDWORKS xDesign, which runs on the platform, with one click of a button, I can send my design out for a quote and receive a finished part in as little as two days. Finally, from the convenience of my CAD interface; I can order a part and have it in my mailbox in a few days. The third thing the cloud opens up is online shopping for engineers. The 3DEXPERIENCE platform takes this concept to the next level using PartSupply. There is an icon in my cloud-based xDesign application that opens up a world of components that I can select for my designs. Two key factors propel this to the next level in my opinion. First, it is all within the same interface. This looks, feels and acts identically to my online Dashboard and my design system. This may not seem like a big deal, but I would argue the opposite. It's convenient to be able to search and browse for components in the same fashion that I search and browse for files that I’m opening for design. My brain doesn’t have to switch gears. I also don’t have to bookmark a page in my browser. It’s all integrated into my CAD tool, just as simple as a sweep or extrude would be. The second reason this is a next-level part catalog is globalization. This expands the reach that I can source parts for my designs. The “Detectors” category alone shows over 14 thousand components available currently. Click on “Couplers” and there are over 2 million configurations at my fingertips. Two clicks and the model is in my design. A couple more clicks and I can order the part. Ultimate ease-of-use to add components into my design environment. I touched on this fourth reason with "Communities" in my 5 Reasons to Use the Cloud for 3D CAD blog, but to me, this is important enough to mention again. The need to communicate with the outside world isn’t going away, in fact, it's becoming more and more important. The 3DSwym community is the strongest platform to accomplish this moving forward. 3DSwym provides access to users across the globe to discuss the CAD tools we use every day. There are forums to discuss SOLIDWORKS, Design, IoT and many more. This same powerful online backbone can drive my design team. I’ll never forget the day I walked into the office and saw papers spread out on every available space not knowing what on earth was happening. A few puzzling looks later and I was told that the project book was in a flood and the pages were drying in order to put it all back together. That doesn’t have to happen anymore. We have the tools available to us that allow all this data to be stored, contained and best yet: shared in the cloud. Storing and sharing our project data is not the only benefit. There are areas where we can discuss our ideas to see which ones should proceed to the next phase. We can track tasks allowing us to see who is working on what areas and what projects are our responsibility. I can chat with my colleagues, ask questions and get answers to my design questions instantly. I can share my designs with others using built-in viewers so anyone can see in 3D what is happening with the design. The last point I’ll add to the social design avenue is geared to the managers and it’s one simple word: Analytics. We can access real-time live data to see what areas are getting a lot of attention and which areas may need assistance. This allows us to plan our weeks, months, budgets and timeframes accurately with real data. The 3DEXPERIENCE platform gives us the power to make well-informed decisions based on accurate data and we don’t have to do anything to set that up. It is inherent in the system that is already running on the platform. Here's where it gets even more interesting. The social part extends beyond communication, it also opens up pools of resources from all over the world. With 3DSwym, you can add users from around the globe in minutes. That could mean 24-hour design, which could change efficiency studies everywhere. Am I thinking too big? Think about what the impact of Uber, 99Designs, Crowdspring and other crowdsourcing companies have done for the democratization of their respective markets. A few years ago, we had a logo designed in a matter of a couple days for $750 with 40+ submissions. How could easy access to this type of model affect your business? The final reason I’ll mention for why cloud design using the 3DEXPERIENCE platform is the future would be expandability. The platform is the backbone for all this to happen, but it wouldn’t be as successful if it weren’t for the wide-ranging umbrella that Dassault Systemes provides. I’ve seen this already with the xDesign interface. I have high-end topology optimization available to me at the very start of the design process. I simply need a sketch and the software will provide me with options. It is exciting to see that I can already have the software help me imagine a design, have it printed across the globe and arrive in my mailbox within a few days. Imagine the days when we can see how it interacts with the human hand, select sustainable materials sourced economically, setup virtual product testing before a physical model is even available, communicate that with everyone on the design team instantly and put that power in the hands of every engineer. We’re not going to get there without the cloud, and the 3DEXPERIENCE platform is well on the way to making that a reality. I tried to formulate these ideas without any bias, but as you can probably see, I am team cloud. I believe the cloud, and more specifically the 3DExperience platform, is so far beyond just CAD in the cloud. I believe the platform is the future of engineering. The compass is an integral part of how I design now and the benefits are endless on where it will take the future of engineering. Someone much smarter than me put it best when he said, “The scale and future of the 3DEXPERIENCE platform is going to bring dramatic changes to the way people work - it’s not just another CAD tool....it's an Engineering Resource Community!” I completely agree. We are on the edge of a fundamental shift in how engineering is accomplished. It will be exciting to see where the ride takes us. We've been in this space for so many years and I’m always impressed with the new capabilities each release of SOLIDWORKS brings to the market. Over the last few years, we’ve been watching our competition bring modern CAD to the cloud. That’s cool, but what Dassault is bringing to the market is a not just CAD in the cloud – it’s a new paradigm. This reminds me of the days when we started moving 2D CAD to 3D Parametric modeling. It was quite simply game changing. I’m confident the 3DEXPERIENCE platform will have a dramatic and lasting impact on what we consider effective engineering tools. 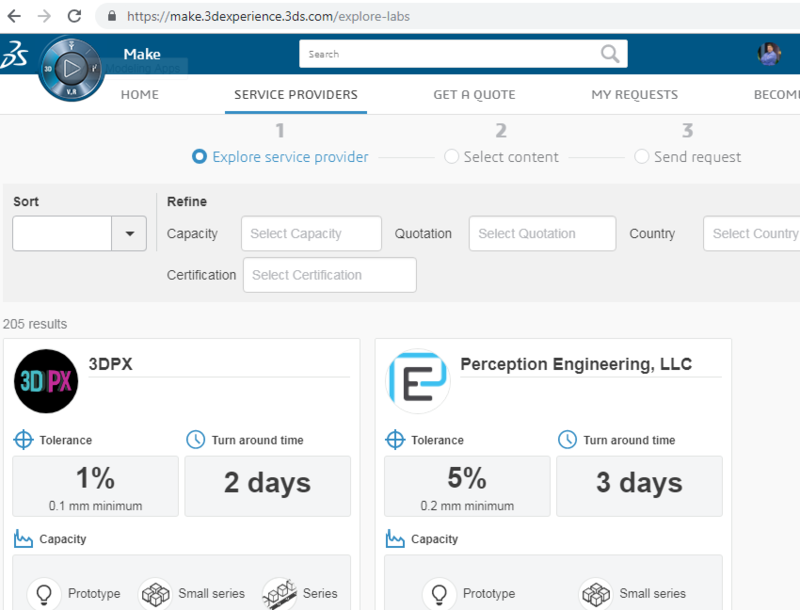 You can learn more about the 3DEXPERIENCE platform on their product website, or you can see how this applies more to a SOLIDWORKS user by reading our blog article here. 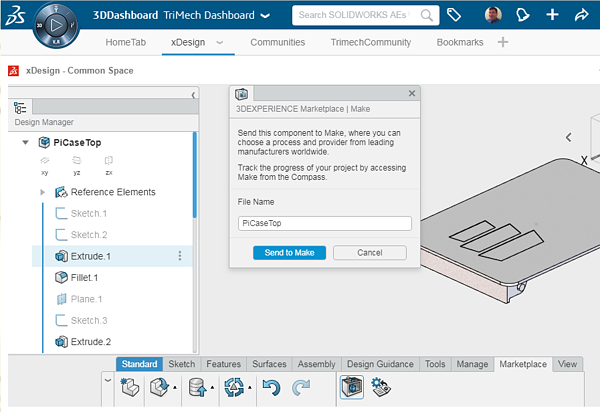 For an in depth walk-through of the SOLIDWORKS xDesign application running on the cloud-based 3DEXPERIENCE platform, see our mini-webinar introductory series.